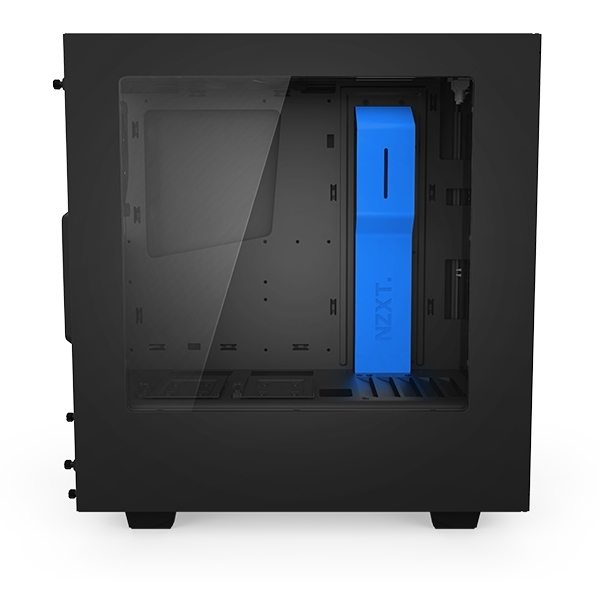 January 6, 2015, Los Angeles, CA – This Fall saw the S340 lead the way for NZXT in the entry-level case category, bringing premium quality and innovative design to the sub $70 space. 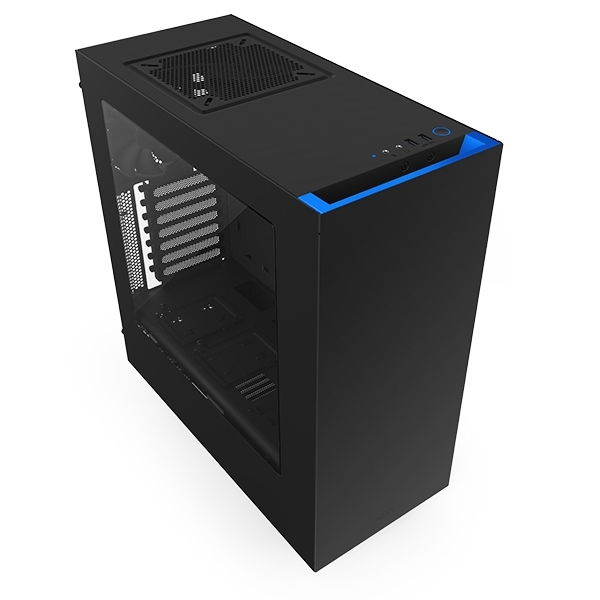 Today we’re pleased to announce the availability of the S340 in two new stylish colors: Matte Black paneling with either Gloss Blue or Gloss Red accents. 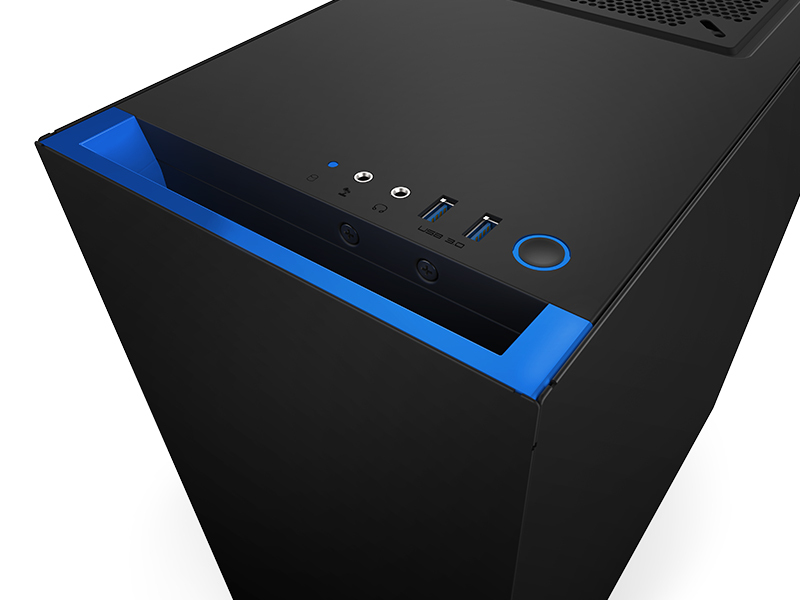 Both colors will be widely available to all NZXT sales partners. When it comes to keeping cool, the Source 340 is no slouch. With Kraken X61 compatibility in the front intake, X31 compatibility in the rear exhaust, and a total of up to three 140mm or for 120mm fans you have plenty of cooling options. Thick front panel cutouts allow unrestricted airflow to reach our fully filtered intake. The S340 comes with the standard accouterments that you would expect from a premium case, such as USB 3.0, filtered intakes, a PSU shroud, and quality materials. Easily one of the most durable cases we’ve ever made, the Source 340 boasts 360 degrees of steel casing, extremely minimal plastic use, and extra thick side panels. 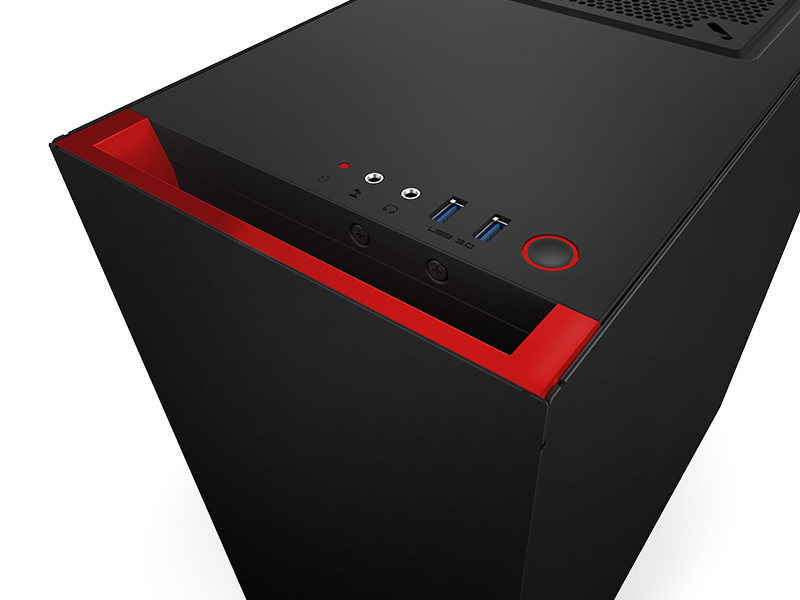 The S340 is everything a new builder, an experienced modder, or any PC enthusiast needs. The S340 Color Edition is available for immediate pre-order at the NZXT Armory Store for just $69.99, with an estimated ship date of 1/15.